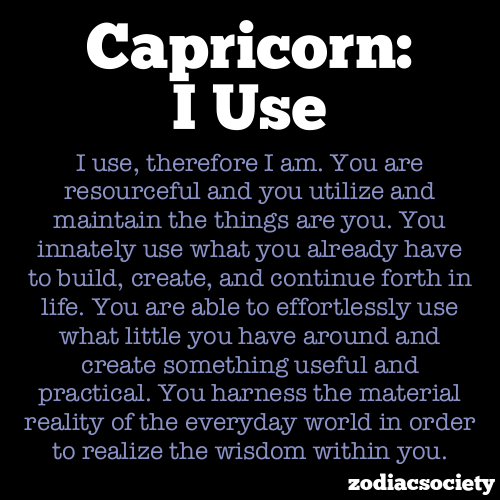 Capricorn: I Use | Capricorn Life - Capricorns Rock! I use, therefore I am. You are resourceful and you utilize and mantain things. You are innately use what you already have to build, create and continue forth in life. You are able to effortlessly use what little you have around and create something useful and practical. You harness the material reality of the everyday world in order to realize the wisdom within you.